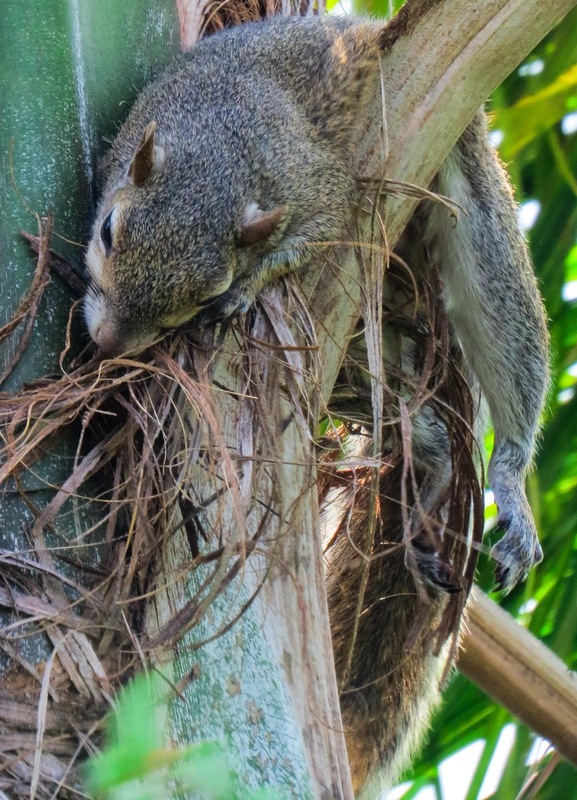 Is this not one of the cutest squirrel poses you've ever seen? 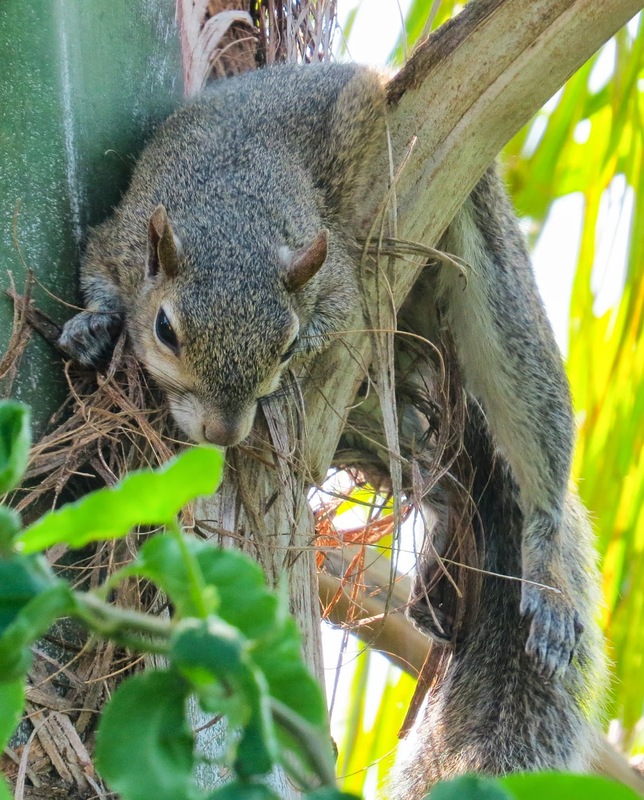 He/she is tucked into the crotch of a palm branch right outside my desk window. His little eyes never completely close, poor thing - but he is as relaxed as I've ever seen a squirrel. Look at his hind paw just hanging down.......sweet little thing. In the morning I can hear him run across the roof - and then he appears in the palm, sitting on the branch he is now curled up in, barking and barking. He must wear himself out. My husband and I were just talking about how funny the squirrels are in our yard. I think they have Spring fever! That is one cute squirrel.